Strategies that work for a certain test or math quiz don’t work quite as well for a different test. 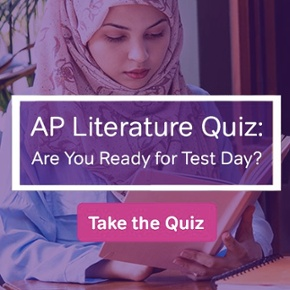 Depending on the task at hand, you’ll need to equip yourself with specific study skills, methods, and test-taking strategies in order to succeed. Studying hard isn’t enough – so you have to study smart and know what to expect. If you’re struggling, take a look at these three things that you can work on in order to master the new SAT math section and get an awesome score. 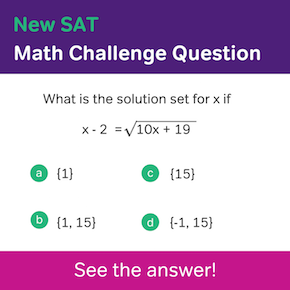 Do you find yourself bogged down by all of the reading that you have to do on the new SAT math section? Don’t be surprised or caught off-guard by the amount of text that you have to wade through to get to the numbers. The key is to cut down on reading by figuring out your own personalized strategy. Think about clues and ways to eliminate answers. Circle important keywords so that you don’t have to keep reading the same things over and over. 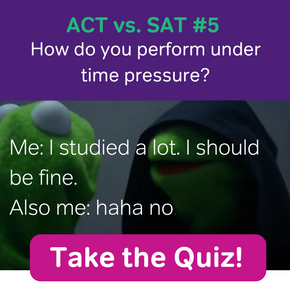 Lastly, pace yourself on the SAT reading and writing section. That way, you’ll be able to have a fresh pair of eyes to focus on the math section. Perhaps you’re a bit fuzzy on some of your algebra skills. The new SAT focuses heavily on algebra, so there’s no way around this one. You’re going to have to hone your algebra until you know it like the back of your hand. Try getting tutoring help during lunch from your math teacher. If your usual teacher isn’t available, try asking another teacher on campus and see if that person is willing to help you. Chances are, if you ask nicely and are serious about wanting to improve, someone will help you out. I also strongly recommend fiddling around with Wolfram Alpha. For you visual learners, this is a great way to see an equation, expression, or a graph defined in multiple ways. This will help groove everything deep into your brain. The key is just to practice, practice, and practice away. 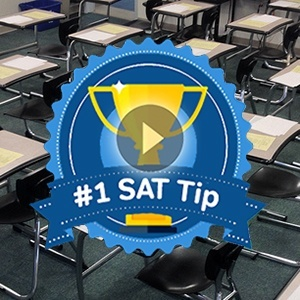 However, instead of blindly answering question after question, make sure to practice with the intention of keeping your eyes open and recognizing the patterns and diction that the new SAT test makers use. There’s only so many different ways that a new SAT math problem can be presented to you. If you know them all, then you’ll be able to figure out exactly what math concept you are being tested on and how to find the answer.